As a part of Japan-China Friendship Project by the Ministry of Foreign Affairs of Japan, and also for the purpose of nurturing pro-Japanese inside the Government of the People’s Republic of China (hereinafter referred to as “China”), JICE is supporting the Long-term Training Project for Young Chinese Administrative Officials (JDS). This project will allow young leaders of the central or municipal governments who will soon be in charge of policy making in China to study at graduate schools in Japanese universities. We hope that they will bring back to their homeland what they’ve learned in Japan, that they will contribute to their own country, and that they will play a significant role as a bridge between Japan and China in the future. 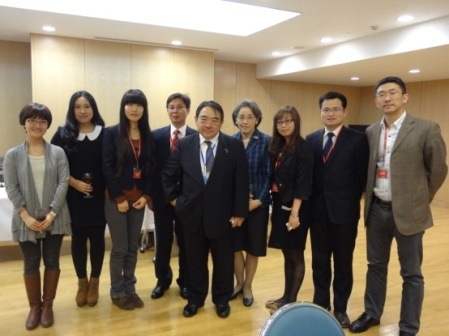 On March 28th 2013, JICE held a gathering at the Embassy of Japan in China for the Chinese JDS fellows studying in Japan. Our purpose was to deepen the understanding of this project and both nations. For this gathering, we’ve invited the JDS fellows scheduled to come to Japan in 2013, the ones who already went back to China after studying in Japan, and the ones currently studying in Japan who were temporarily in China at that time, and other Chinese parties concerned. We also invited H.E.Mr. 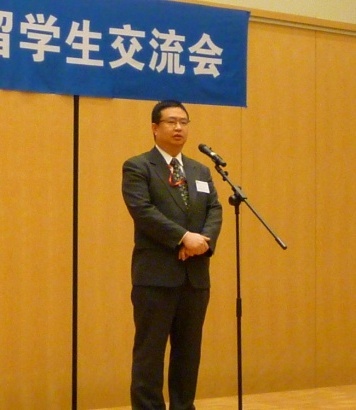 Masato Kitera, Ambassador of the Embassy of Japan in China, and his wife to attend the gathering. In the opening speech, H.E. Mr. Kitera asked the Chinese JDS fellows, who just came back from Japan, if there was anybody who would want to visit Japan again, on that very day. 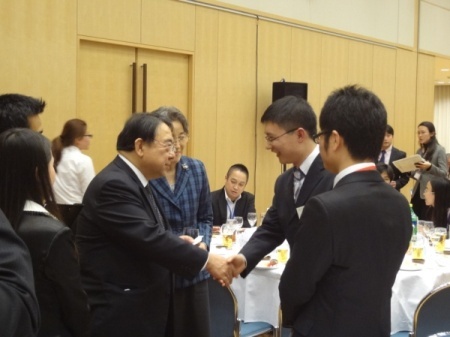 It was nice to see many Chinese JDS fellows who have already visited Japan also made an affirmative answer! During the free time, H.E. Mr. and Mrs. Kitera went around tables to greet all the JDS fellows. H.E. Mr. and Mrs. Kitera exchanged words with each and every one of them, and listened very carefully to what the JDS fellows had to say. All the JDS fellows seemed having a good time hiding their excitements. Until the very last moment, the atmosphere was filled with laughter and conversations. 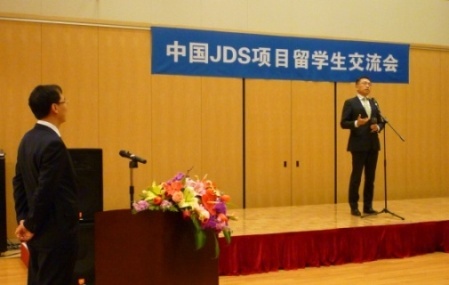 It seemed as though they were raising awareness as JDS fellows, acknowledging their passions to take up the responsibility to play a role as the bridge between Japan and China. 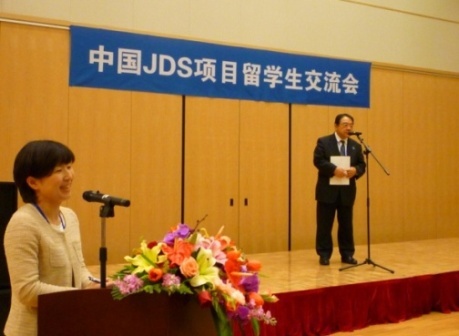 JICE is implementing various projects such as JDS to deepen the friendship between Japan and China. We’d like to support more and more events such as this to deepen the bond between two nations.